Articles - 3 Hot Home Design Trends for 2018 & 1 We Are Happy to See Go! 3 Hot Home Design Trends for 2018 & 1 We Are Happy to See Go! An all-white aesthetic may be mind-clearing and clean looking, but when it comes to a home’s style, a little more is needed. Say, some color? Take a look at our three favorite home design trends that are hot for 2018, and one that we’re not mad to say goodbye to! Whether it’s a lamp, photo frame or knob, metal or metallic accents alongside both bold and pastel colors give a modern touch to what may be a regular room. In particular, we love the gold/brass shine. Navy blue and gold is a hard yes, along with blush pink and gold. So chic! Add it any area that needs to stray away from color to add neutrality. 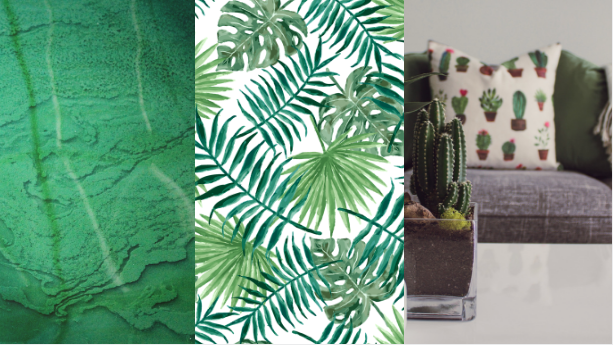 Specifically, we’re talking palm leaf prints... can you picture them? It’s a design that you can incorporate into many areas of the home, especially when heading into the warmer seasons. Add a tropical shower curtain in the bathroom, patterned wallpaper on a wall in the living room or home office, or hand towels in the kitchen. The green is a classic accent color that organically adds vibrancy to a white-washed room. 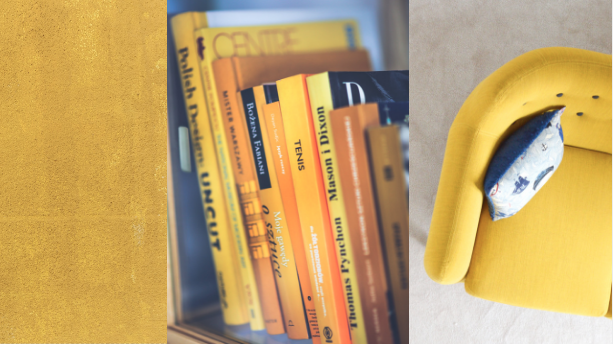 This vibrant, burnt yellow color may not be everyone’s favorite. However, this is again a great accent color when you need a focal point. It’s been a trend in the past, but we’re not ready to let it go. Incorporating mustard yellow details such as plant pots, pillows and floor rugs automatically transforms the environment into a bright, inviting space. The best part is this color works extremely well with all muted base colors: white, black, gray and even wood textures! 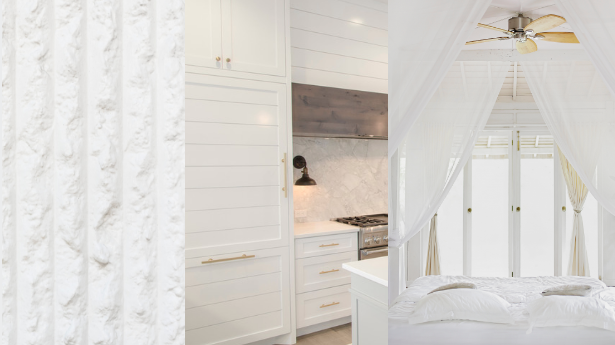 If you couldn’t guess by the opening of this article, the trend that we’re not so hot on anymore is all-white everything, especially kitchens. While white really isn't a tone you can get tired of, it’s the lack of actual eye-catching color that we’re not in love with. White counters, cabinets and accents are all nice when on their own...but pack it all in one room and it can create an area that lacks character and warmth. Though, this isn’t a knock on white marble; that is a current trend that we want to see continue on! 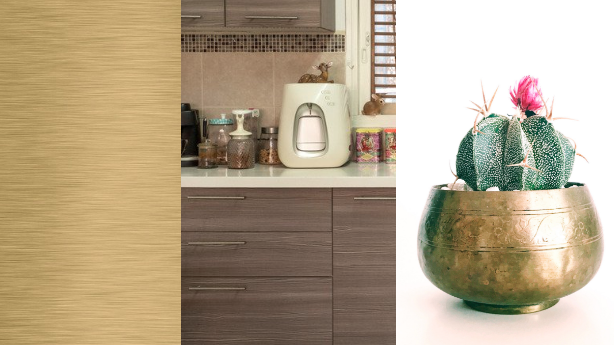 Of course, home design trends cross over into each year, and there is no right or wrong way to decorate your space. Though, these particular styles are refreshing and new to the eye. Do you love them or hate them? Which is your favorite?